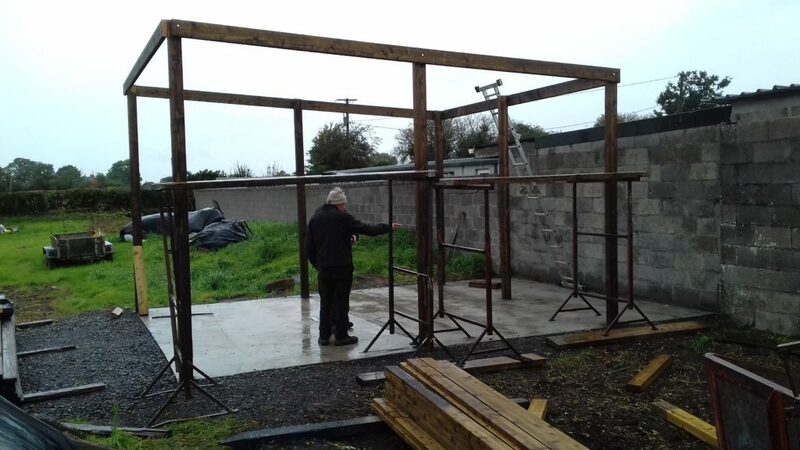 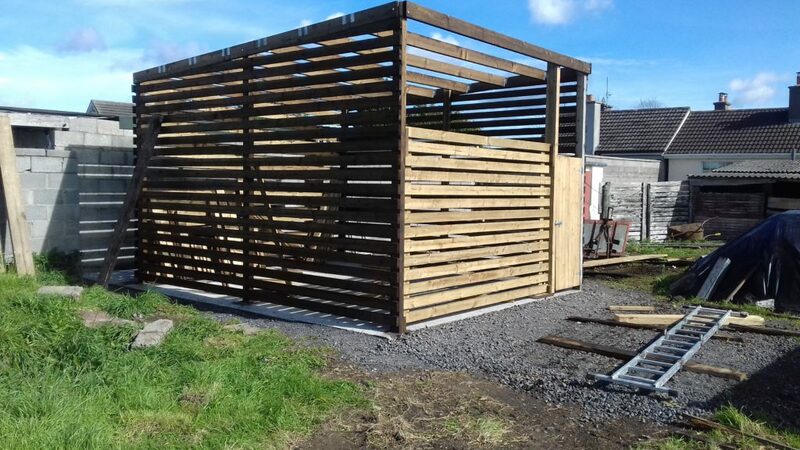 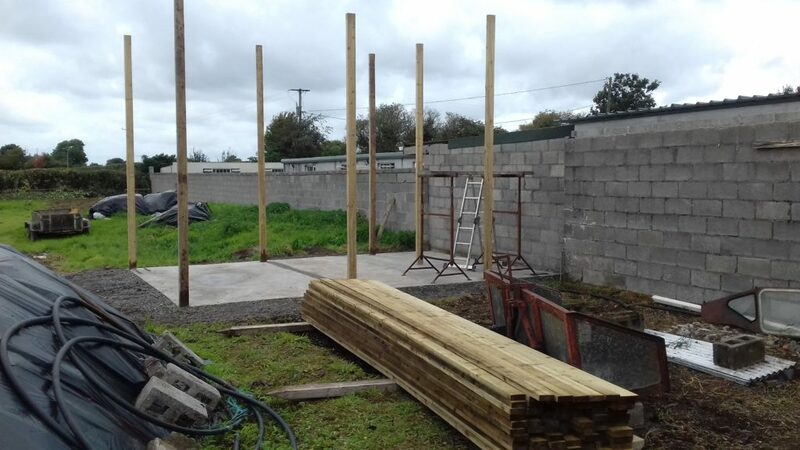 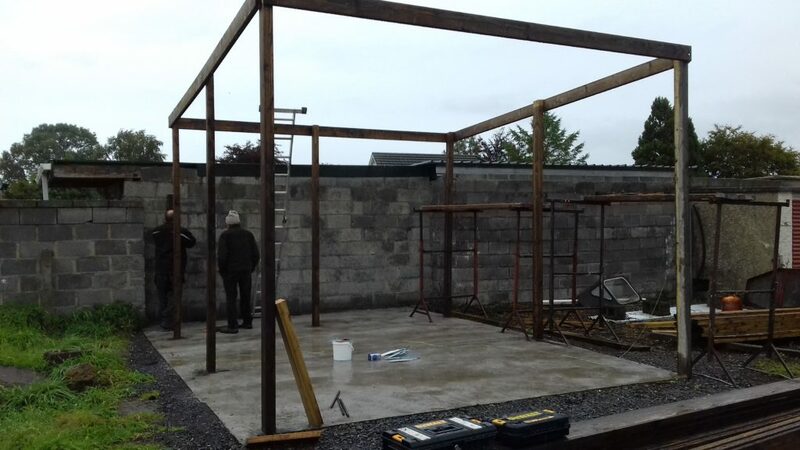 Here is a solid fuel storage building we are constructing on an equestrian property in South Kildare. 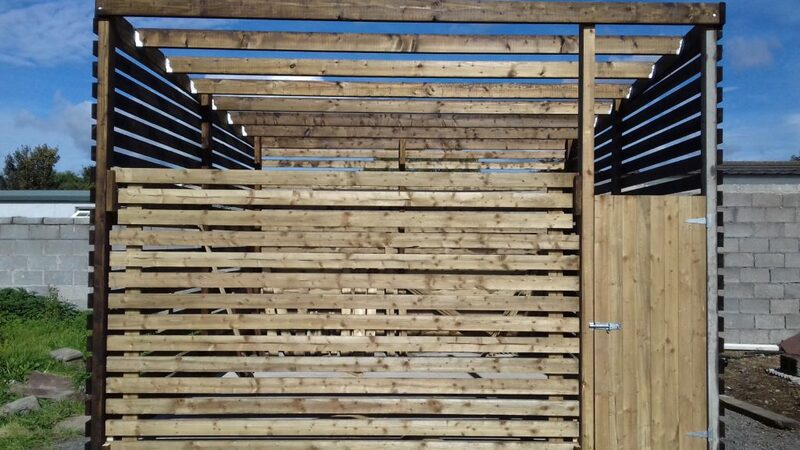 Ventilation is ensured via the spaced horizontal cladding. 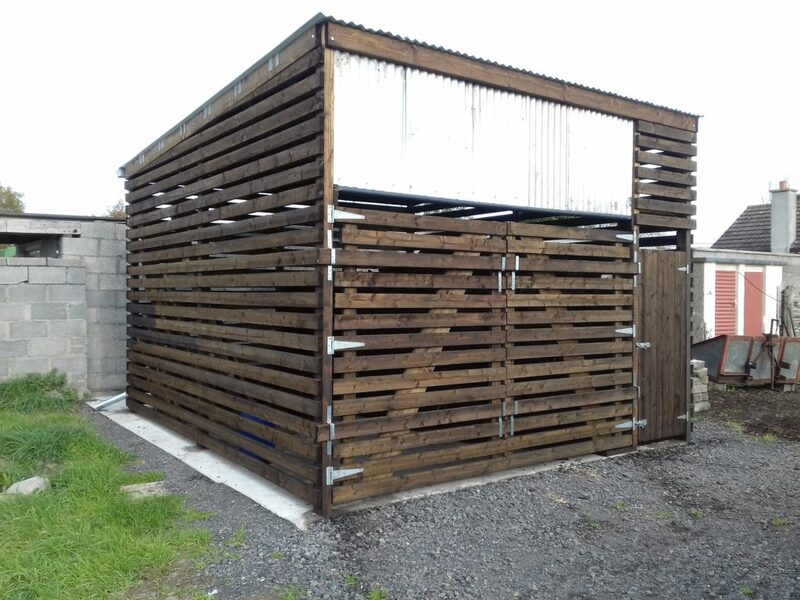 The roof is corrugated metal sheeting, pitched to a large gutter at the rear. 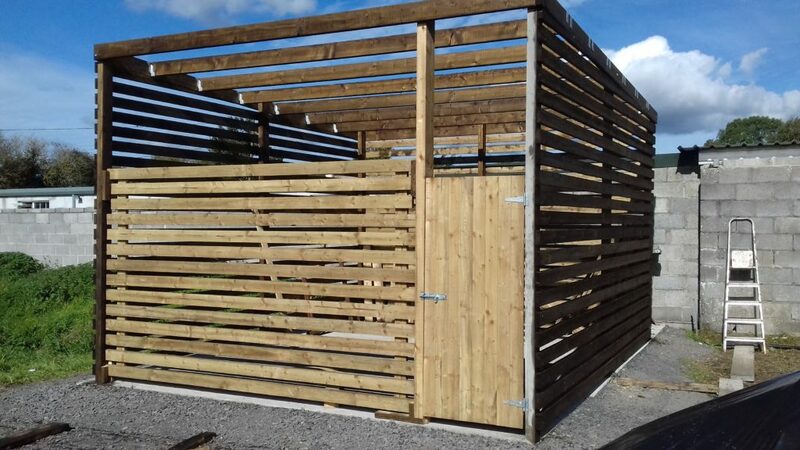 The large panel at the front is removable to facilitate vehicular access. 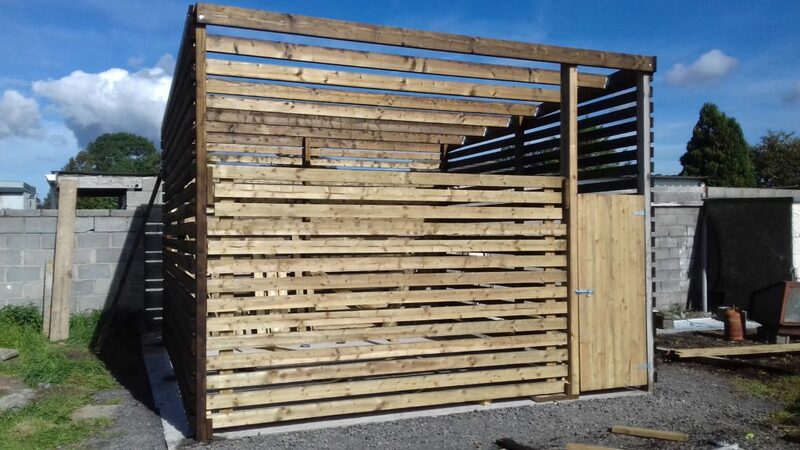 Pedestrian access is gained via the gate to the right of the front elevation.